Price: £23.00 GBP or $36.00 USD approx. Available from: http://www.dunstanbaby.com. various retailers and Amazon. Length of testing: Over 1 year. System used for 6 months with my first baby, 8-9 months with second baby and now 7 months and counting on my third little one. My Mum sent me a link to an article about this system when I was expecting baby number one 5 years ago. I was a little sceptical of the claims at first, but after reading the comments I decided to purchase the DVD and investigate further. 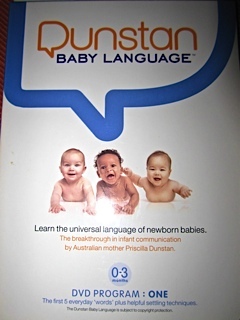 I was intrigued and reassured by the background information given about the systems creator, Priscilla Dunstan, on the Dunstan Baby Language website. Following is an excerpt. ‘From the age of five, Priscilla demonstrated an unusual connection with sound. Already an exceptional violinist, she could hear a piece by Mozart once, then play it back in its entirety. Her father, Director of the Educational Testing Centre at the University of New South Wales, found that his young daughter had an eidetic memory – a photographic memory for sound. During her teenage years Priscilla toured throughout Europe and Australia as an accomplished concert violinist. Priscilla then spent more than 10 years exploring the world of opera, where her talent as a mezzo-soprano deepened her understanding of sound produced by the body. It was years later, when Priscilla gave birth to her son Tomas, the true significance of her gift emerged. Her instincts as a mother and her connection to sound led her to believe that a baby’s cries had to be something more than just random sounds. Noting combinations of sounds in a journal, Priscilla explored various settling techniques and observed Tom’s reactions. Eventually she was able to recognize patterns, and identify how specific cries had a distinct need attached to them. In her DVD, Pricilla explains that every newborn communicates from birth to 3 months using 5 distinct sounds that signal hunger, tiredness, need to burp, lower wind/gas and discomfort. 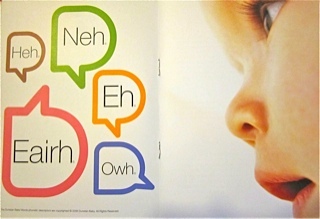 This is regardless of the language their parents speak. It is not a learned language she explains. Rather, it is a natural way for every baby to express their physical needs. Prior to my first babies birth, I watched the DVD several times; taking note of the five sounds and repeating them to myself through-out the day so that they became familiar. I also hung the small sound chart that comes with the DVD in the nursery so that I could easily refer to it if required. When baby arrived there was the usual shock to overcome (! ), but I found that I could easily remember the sounds, especially with the help of the chart, and I began to really listen to my little one to try to distinguish his cries. It took about 1- 2 days for my ear to attune to my babies cries and for me to begin to tell when he was making each sound. What a feeling the first time I heard the hungry cry! I was elated! My little one most often made the tired, hungry or burping sounds, but also made the wind and uncomfortable sounds. My husband and I felt confidence and reassurance knowing that we could, most of the time, attempt to understand what it was that our little son was trying to tell us. The system states that it is best used for the first 3 months of babies life as from 3 months on, baby will begin to use learned sounds, rather than the physical/instinctual sounds Priscilla describes. However, my husband and I heard both are boys making the sounds for much longer than this. Priscilla Dunstan comes across as genuine, down to earth and very approachable in her DVD. (Like all good Aussies!) The DVD’s are watchable and easy to digest. Most helpfully she gives lots of examples of different babies making each sound, so you get a real feel for the sounds themselves. She also gives advice and techniques for dealing with each of the problems babies cries are signalling. Very helpful for a first time Mum and Dad. I recommend this product. The DVD would make a great Baby Warming Gift as it is best to be able to study it before baby arrives. Such a relief when you are all at sea with your first baby.